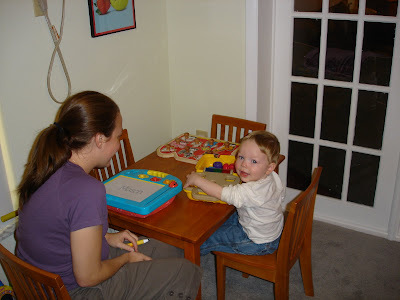 Playing at my new table with Mommy. What a great table, Mason. Can I come over and color with you at it? Mason - where are your updates? ?